ISLAMABAD, May 2, 2018: Senate Opposition Leader, Senator Sherry Rehman voiced her concern over the power shortfall that has led to power outages across the country. “The government declared that it had overcome the power crisis. That is clearly a lie! Power cuts are reportedly around 7,000MW to 8,000MW. What this does is expand the category of consumers who will experience power cuts. What has been overcome then? It is obvious that the power and energy crisis is getting worse,” the Vice-President of PPPP added. Elaborating on the magnitude of the impending crisis, she said, “This problem has grown from something that could have been managed by the government and the Ministries concerned, into a full-blown crisis. Major plants across the country have only a few days worth of stocks left! Why are alarm bells not going off in the government? Why isn’t this a bigger issue? We are literally running on fumes and we are a country that cannot afford this. Given the state of our economy, rebounding once the inevitable disaster happens will be close to impossible”. The petroleum division of the Ministry of Energy should answer why furnace oil stocks are at very low levels and why critical permissions required for crucial oil shipments were delayed. How did they let it get to this point? “Now, the public’s lives lie in the incompetent hands of a distracted and dissembling government. 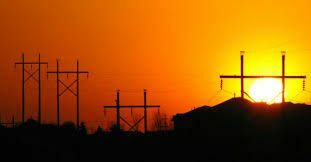 If the oil stocks don’t come on time, which is their responsibility to begin with, we are looking at crippling power shortages during Ramazan when temperatures are also expected to rise. Not only that, eventually, power operators will be unable to operate and systems will shut down,” warned the Senator. Rehman further said, “On top of all this, the government’s response, which is unfortunately predictable at this point, is to take on more debt. PSO’s receivables already stand at Rs 312 billion and a big portion of this comes from the power sector and gas companies. Let me remind you, our circular debt has already reached a whopping Rs 1 trillion! Our crippled government is holding on to debt while ignoring this in the budget”. “This is the culmination of years of incompetency and mismanagement by a government that runs its affairs on debt after debt and misguided policies. At the end of the day, it is the people of Pakistan and our already crippled industries that will suffer the consequences and carry the brunt of this,” concluded the Senate Opposition Leader.